Sounds kind of sad when you put it that way! 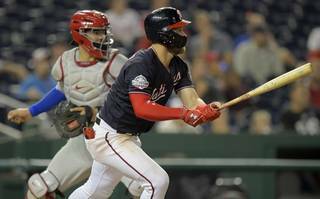 When the Nats lose in Game 5 — something they do well — there’s a suddenness to it, a jolt, something hard to immediately process. The slow burn toward a bad season’s end is different. It lets you think things out, mull over the future, remember the past. And Boz’s column reminded me of one of the many reader emails this week trying to make sense of a possible future without Bryce Harper, which has felt inevitable but still somehow staggering after watching him since he was a teenager. Those are the questions we’ll all be pondering over the next few (likely) meaningless weeks: How this team and its stars will be remembered, what went wrong this season, how seven years can possibly fly by so quickly. This is the Wistful Homestand. 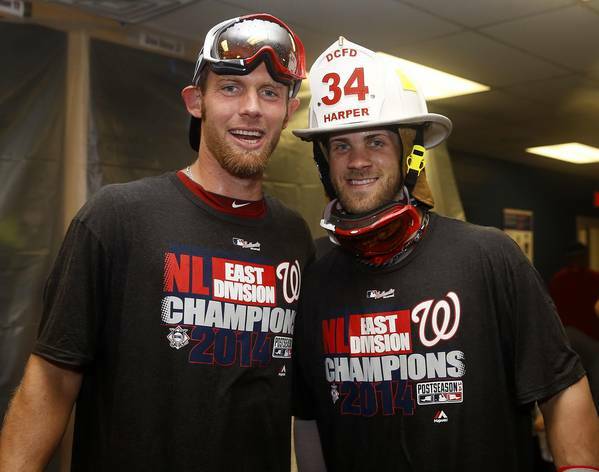 The Caps — plus Scherzer and Strasburg and Soto and Robles — should be enough to stave off any talk of windows closing. But for these Nats, time is almost gone. So take a good look. It won’t cost you much. RGIII’s absence took away the biggest reason to watch the Redskins’ preseason finale, but he did get in some huge hugs. Washington’s sexiest position battle is now at running back. How much do Samaje Perine’s fumbles hurt him? 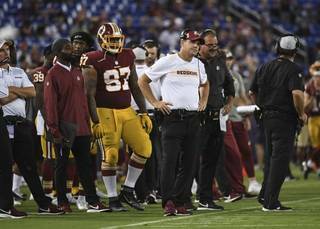 How confident are coaches in Chris Thompson’s health? How valuable is Rob Kelley’s dependability? How much do you care? When you win a Stanley Cup for D.C., you’re allowed to make a public show of your Seahawks fandom, like T.J. Oshie did last night. Remember when Redskins fans hated the Seahawks? Only eight more days until Jayson Werth appreciation night. That former Roanoke Times Virginia Tech reporter who’s beefing with the paper over his Twitter account is now counter-suing for for more than $150,000. Allstate has ranked Baltimore drivers the worst in the nation — and D.C. drivers aren’t much better. Take a good look at these Nationals. You won’t be seeing a lot of them next season. The end is near for a group that will be remembered for rollicking regular seasons and torturous playoff exits. Nationals-Brewers series preview: A chance to gain wild card ground? 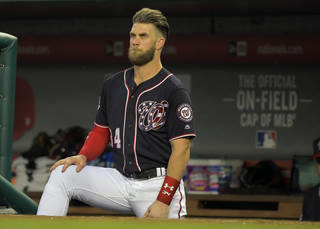 The Nationals begin the last month of what currently looks like a lost season with three games against one of the teams they’re trailing in the N.L. Wild Card race. 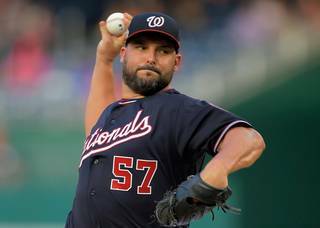 At the start of this season, before the Nationals starter tweaked his mechanics and recommitted to his sinker and four-seam fastball, that feeling had escaped him. If the finale was supposed to instill confidence in Washington’s depth, well, that didn’t happen. 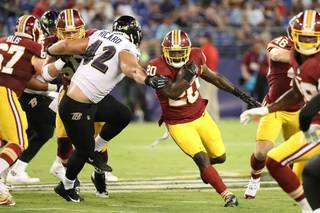 The Redskins have to decide between several backs before the cut-down deadline Saturday. 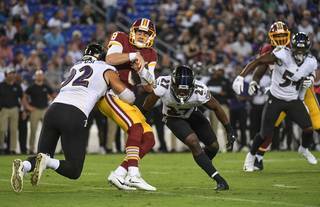 Predicting which players will make Washington’s final roster on Saturday. 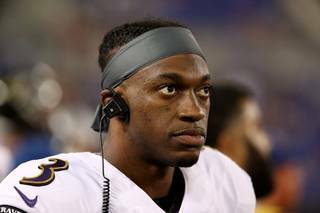 Will Baltimore keep him on its roster? With Jordan McNair’s death casting a pall, the program searches for answers that likely will lead to more difficult questions. “She’s tough. If she can play, she will,” Mystics Coach Mike Thibault said of his star’s availability vs. the Atlanta Dream. 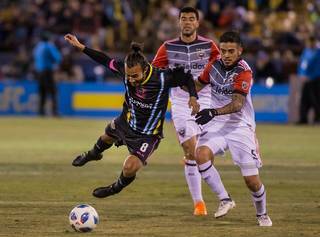 There are five MLS matches during the Sept. 3-11 window, and United is involved in two. Five to seven D.C. players will miss at least one game as a result. 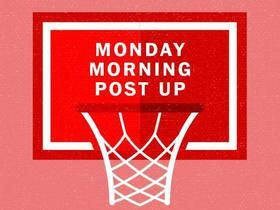 All the NBA news and commentary you need, every Monday morning from reporter Tim Bontemps. You received this email because you signed up for D.C. Sports Bog or because it is included in your subscription. Previous: Previous post: Save $50 during our Labor Day Sale.